Parkinson’s disease (PD) is the second most common neurodegenerative disease, exceeded only by Alzheimer’s disease (AD) . Its cardinal medical features were first described by the English physician James Parkinson in 1817 . Pathologically, the hallmark features of PD are neuronal loss in the substantia nigra pars compacta-SNc (a brain structure located in the midbrain that plays an important role in reward, addiction, and movement), protein accumulation and aggregation (known as Lewy bodies that primarily contain the protein alpha-synuclein), and mitochondrial abnormalities ,,. It is estimated that approximately 1 million people in the US, 1 million in Western Europe, and 5 million worldwide suffer from this disorder . Parkinson’s disease affects men and women of all races, all occupations, and all countries . The mean age of onset is 60 years . The frequency increases with aging, but cases can be seen in patients in their 20s and even younger. Based on the aging of the population and projected demographics, it is estimated that the prevalence of the disease will dramatically increase in the next several decades . Stage One-The patient has mild symptoms that generally do not interfere with daily activities. Tremor and other movement symptoms occur on one side of the body only. Changes in posture, walking, and facial expressions may be present. Stage Two-Tremor, rigidity and other movement symptoms affect both sides of the body. Walking problems and poor posture may be present. The person is still able to live alone, but daily tasks are more difficult. Stage Three- This is considered mid-stage and is characterized by loss of balance and slowness of movement. Falls are more common. Even though the patient is still fully independent, symptoms significantly impair activities such as dressing and eating. Stage Four-Symptoms are severe and limiting. It’s possible to stand without assistance, but not move without one. The patient is unable to live alone. Stage Five-This is the most advanced and debilitating stage. Stiffness in the legs may make it impossible to stand or walk. The person requires a wheelchair or is bedridden. The person may experience hallucinations and delusions. The Parkinson’s community acknowledges that there are many important non-motor symptoms as well as motor symptoms. Figure 2. 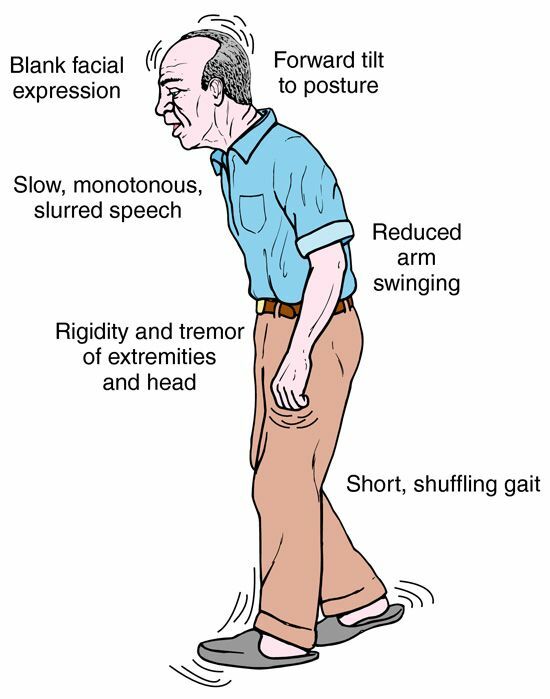 Symptoms of Parkinson’s disease © NCCE Graphics. This image is adapted from . LEVODOPA-It is a GOLD standard. No current medical or surgical treatment provides antiparkinsonian benefits superior to what can be achieved with levodopa. Levodopa benefits the classic motor features of PD improves quality of life and increases lifespan. In the United States, levodopa is combined with the decarboxylase inhibitor carbidopa (Sinemet), whereas in many other countries, it is combined with benserazide (Madopar). DOPAMINE AGONISTS-Dopamine agonists are a class of drugs that mimic the effect of dopamine and they bind to and activate dopamine receptors (proteins found in the brain and nerves throughout the body involved in dopamine signaling) in the brain. MAO-B INHIBITORS-Inhibitors of monoamine oxidase type B (MAO-B) block central dopamine metabolism and increase synaptic concentrations of the neurotransmitter. COMT INHIBITORS–When levodopa is administered with a decarboxylase inhibitor, it is primarily metabolized in the periphery by COMT (catechol-O-methyl transferase). Inhibitors of COMT increase the elimination half-life (the period of time required for the concentration or amount of drug in the body to be reduced by one-half)of levodopa and enhance its brain availability. Etc. As only the third application of induced pluripotent stem (iPS)cell (the first application took place in 2014 at the RIKEN Center for Developmental Biology in Kobe where ophthalmologist Masayo Takahashi used this technique to treat retinal disease, and the second application took place in May 2018 at Osaka University where scientist used this to treat heart disease) stem cells that are converted into neural cells will be implanted into patients with Parkinson’s disease by doctors in Japan ,,. Physicians at Kyoto University Hospital will inject 5 million of these precursor cells into 7 patients’ corpus striatum (in red above) with the condition . The implanted neural cells will produce dopamine (missing after neural cell loss in patients with Parkinson’s disease). Stem-cell scientist Jun Takahashi at the Center for iPS Cell Research and Application in Kyoto demonstrated in 2017 that the precursor cells differentiated into dopamine-producing neurons and improved the symptoms in monkeys that had a version of the disease . The fact that the clinical trial uses iPS cells rather than human embryonic cells means the treatment would be acceptable in countries where embryonic cells are banned such as Ireland and much of Latin America . Sumitomo Dainippon Pharma Co Ltd has said it aims to manufacture and start selling cellular medicine based on the data from the clinical trials by the year ending March 2023 . Figure 4. 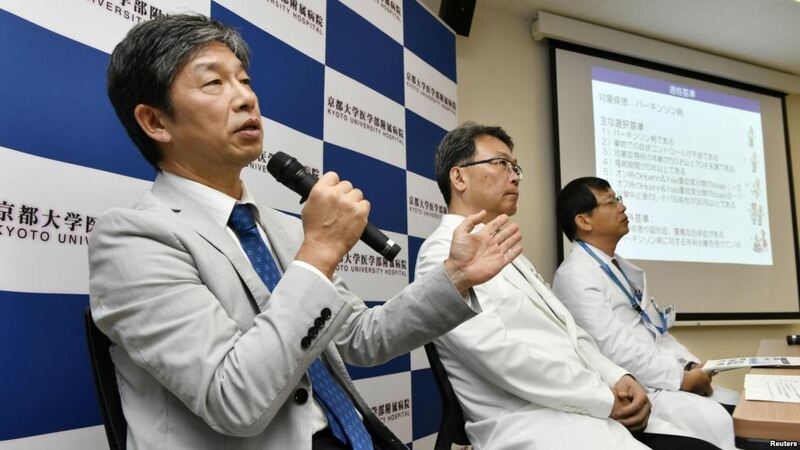 Jun Takahashi (L), a professor at Kyoto University's Center for iPS Cell Research and Application, attends a news conference in Kyoto, Japan, in this photo taken by Kyodo on July 30, 2018. Mandatory credit Kyodo/via REUTERS. This image is adapted from . 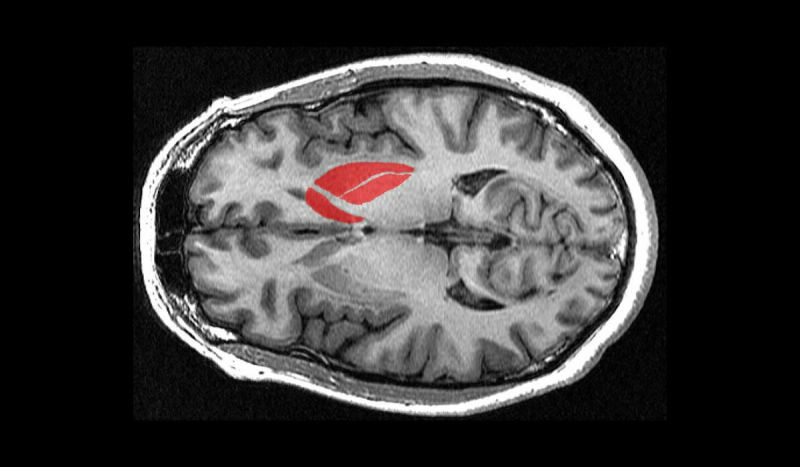 This will be the world's first clinical trial using iPS cells on Parkinson's disease. Jun Takahashi, the professor at Kyoto University's Centre for iPS Cell Research and Application said: “, We intend to carry on conducting our research carefully, yet expeditiously, in coordination with Kyoto University Hospital, so that new treatment using iPS cells will be brought to patients as soon as possible." This is great news for all patients suffering from Parkinson’s disease. COPYRIGHT: This article is the property of We Speak Science, a non-profit institution co-founded by Dr. Detina Zalli and Dr. Argita Zalli (Imperial College London). The article is written by Rina Mehmeti (University of Prishtina, Kosovo).